I have seen other have asked similar questions, but there seems to be no firm resolution. I DO NOT believe a company would make something that it very likely to break, not be a serviceable part! 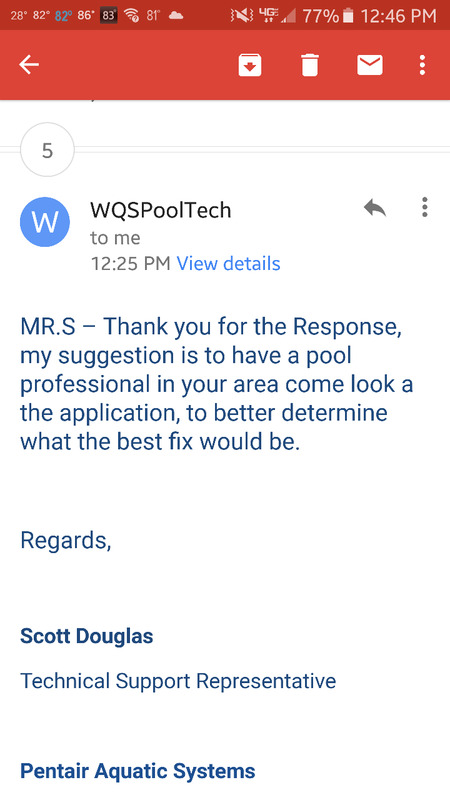 I have contacted Pentair with regard to this issue...yet still waiting a response. ANY help or advice would be appreciated (this is my first post, so i apologize if it's not done correctly. was the spring loaded replacement the correct width? The one they told me i had to have (from Pinch a Penny) initially was too small. The original gate was 8" 3/16, the first spring loaded one was 7" 13/16 which fitted but was quite easily moved. I returned it, and got one that was 8" 3/8 (why they change measurement sizes i don't know). Initially this one didn't fit, it couldn't move freely, so i trimmed it down to fit nice and snug. The spring load fixture is tight, but when the kids are jumping in and out of the pool, the rocking of the water making it flap seems to dislodge it sometimes. It seems totally ridiculous that a skimmer system is not serviceable on parts that are likely to wear out over time. Well they will never get Customer service of the year award! and let us know what they say!